Summary: There is a new generation that could prove to be the best customers of your bank. How to start attracting them today. Beer lovers will be excited to know scientists have recently discovered the missing parent of the hybrid yeast used for brewing. This yeast lives on trees in sparsely populated Patagonia, South America, sitting between Argentina and Chile. The good news for beer drinkers is that in 2Ys, the yeast will make its debut in limited supply through the Heineken H41 beer. 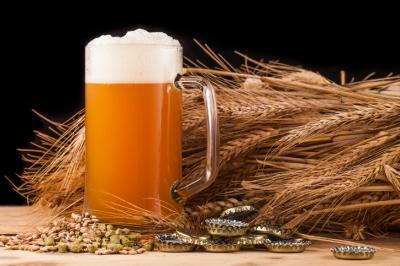 Before H41, there were only 3 categories of beer brewing yeast which made beer brewing more limited. But now, with this new wild lager yeast, 5,000 breweries in the US can look forward to even more creative brewing. Just as a new yeast can change the beer market, a new demographic may change how bankers meet customer needs. Bankers are only just now getting used to the millennium generation, so what do we know about a new concept called generation MX. In May, FIS issued a Performance Against Customer Expectations (PACE) report that details consumer relationships with their bankers. FIS surveyed 8,000 customers in 8 countries. The research helped identify members of Generation MX - a super segment of consumers. This group is very desirable, because they earn high incomes and tend to interact a lot with their financial institutions. Before you hoist a brew to celebrate the opportunity of capturing this group of new customers, it might help to know more. The data finds this group is part senior Millennial (26-36 years old) and part Gen X (37-51 years old). The combination is defined as Gen MX. This group makes a good living and earns $70k per year on average. They are saving for the future and when their banker recommends wealth advisory services, they pay attention. In fact, 67% of senior Millennials and 50% of Gen X expect an important event to happen within the next 1-3Ys. They want to buy a car, they'd like to save enough money for a down payment on a house, or they may be planning for a wedding. Community banks are sitting in a great spot to help these customers. After all, you are embedded in their community and they are probably children of customers you already have had for years and year. For example, customers seeking help with a bigger house might be the result of a job promotion and that means good cross-selling opportunities for your bank. In time, Gen MX could prove to be the best customers of your bank. The key is to make a big effort to attract them now, because right now they may be banking somewhere else. According to the survey, 57% of community banks' customers are over 52Ys old, with only 18% Millennials. Regional banks can be a good area to target, where 34% of Millennials are customers or the big banks where the percentage is 42%. Since digital banking is this generation's expectation, you may need to beef up this area even more if you want to attract them. That said, Gen MX also seeks security, transparency and convenient access to their banker, so you are already there. No matter what you do with Gen MX, know that they expect their bankers to offer customized products adjusted to their unique needs. They also don't shop for a loan, but are seeking a partner that will help them realize their goals. Community bankers have lots of opportunities to capture and drive business forward with Gen MX and you are extremely well positioned given your relationship focus. Keep building on that as you refine your approach and you may well see this group of customers rise faster than adding yeast to food or beer. Yields moved up 6bp on profit taking and light trading. A cryptocurrency company reports it has discovered a hole in its system that allows users to change code and become owners of wallets that don't belong to them. The discovery was made after a hacker reportedly deleted code on a wallet, freezing the ether tokens within it and freezing an estimated $280mm worth of digital currency. After being appointed as the Fed's first-ever vice chairman for supervision, Governor Quarles said the central bank should take a fresh look at everything, be more transparent about what it expects from banks, be open to bank input, simplify rules and change the tenor of supervision. Autonomous Research reports pressure from the largest and wealthiest customers is driving some banks to raise deposit rates. The research found the average interest rate paid by the largest US banks climbed to 0.40% in Q3, the highest level since 2012.